It’s not just a pretty picture or the backdrop for the proposal on Emily Maynard’s season of The Bachelorette, the Dutch island of Curacao is quickly becoming one of the most popular cruise destinations in the Caribbean. Part of the ABC islands – Aruba, Bonaire and Curacao – located near the coast of South America, this island offers both cultural sites and beautiful beaches. 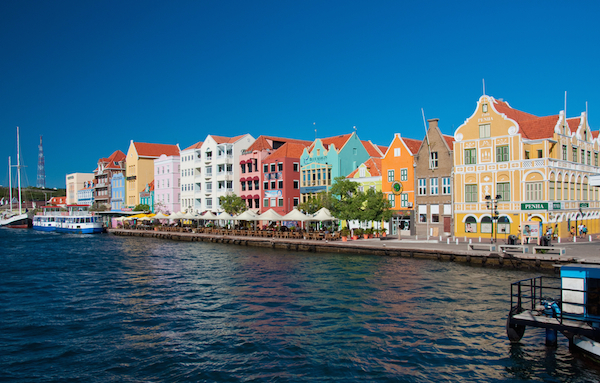 If you’ve ever seen a photograph of Curacao, it’s likely of downtown Willemstad. There are two sides to this quaint town, separated by the famous Queen Emma Pontoon Bridge (oh and be careful you’re where you want to be – when the bridge floats open, it’ll be a little while before you can cross the harbor again). The buildings on this waterfront harbor are colorful and influenced by the Dutch culture. The buildings house shops, apartments, restaurants, government buildings and museums. If you’re shopping in the mix of local and high-end shops, this town is known for Dutch Delft blue china, lace, Curacao liquor and cheese. Looking to try a Dutch delicacy? You can easily walk to downtown Willemstad from your cruise ship, but there’s also an adorable Trolley Train Tour you can take or an east and west island tour. Located in historic Willemstad, this anthropologic museum is the perfect place to learn about the history of this island. This museum features a large collection of African art and focus on the culture that created Curacao including African slaves, West African empires and pre-Columbian traders. One of the exhibits includes the reimagining of a slave ship interior. You can take a guided tour or a self-tour. The museum is open Tuesday through Saturday. If you’re looking for miles and miles of shoreline, this isn’t the island for you. 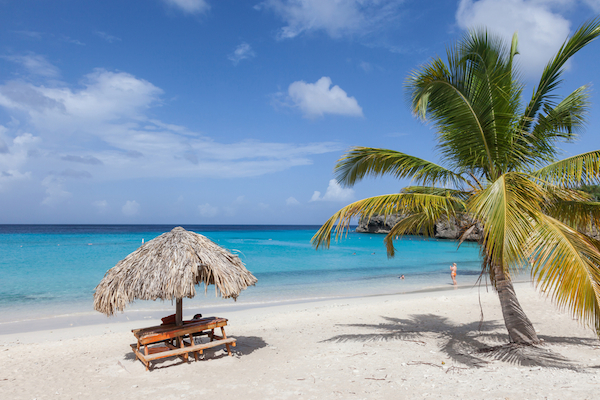 If you’re looking for small, intimate beaches, Curacao’s your ticket. The island is home to more than 35 beaches. Want to enjoy the beach like the locals? 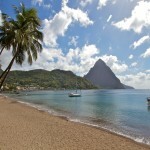 Check out Knip Beach – Playa Kenepa Grandi for both sunbathing and snorkeling in one of the most beautiful settings on the island. Another favorite is Cas Abao – a pristine white-sand beach with crystal-clear waters. You’ll find amenities here including showers and restaurants – even a dive shop. Want complete privacy a la Robinson Crusoe? 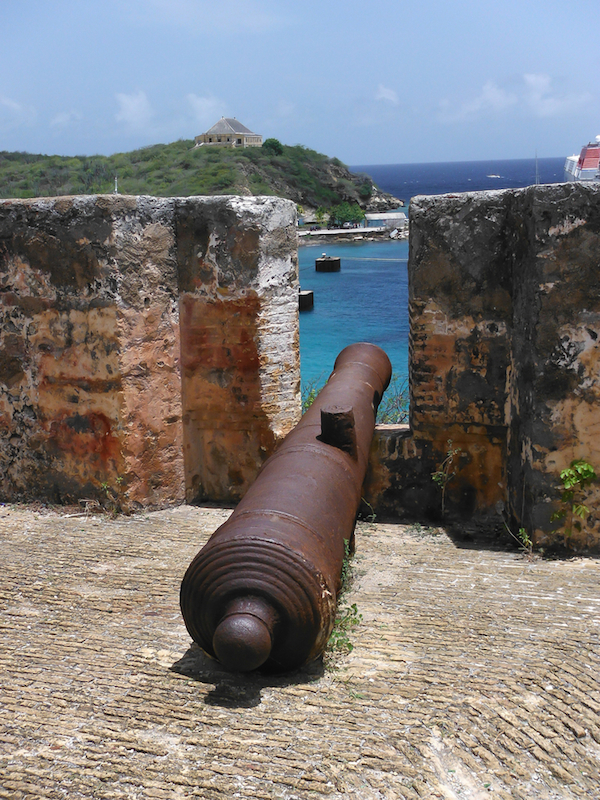 Visit Klein Curacao – a deserted island only reachable by boat. Finally: an aquarium where you can actually get in the water. At this aquarium, you can swim with stingrays and feed sharks. You’ll swim in a natural lagoon with the stingrays, plus other tropical fish. On the other side of a glass wall, you’ll see sharks and sea turtles swimming along. One of the best parts of this tour? It’s always small in size, ensuring an intimate experience. After your in-water experience, you can enjoy the rest of the exhibits and shows the aquarium has to offer. 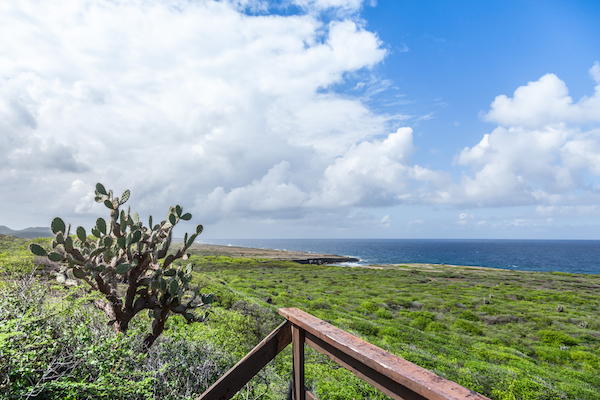 If you’ve ever wanted to catch a glimpse of the rare Curacao white-tailed deer, native barn owls or wild orchids, then this is where you want to be. With eight hiking trails (from easy to super tough), you can explore this 4,450-acre wildlife preserve located on the island’s west end. 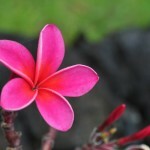 During your trek, you’ll see garden and desert landscapes. 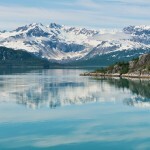 If you’re feeling adventurous, you can take the two- to three-hour hike to the top of Mt. Christoffel, the highest point on the island. If hiking’s not your thing, check out the horseback riding and jeep options offered. 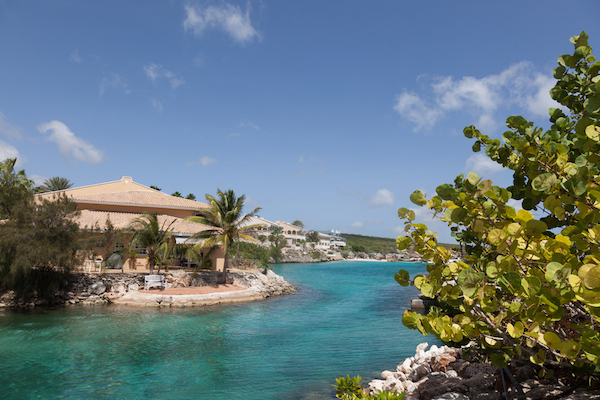 What do you love most about Curacao? 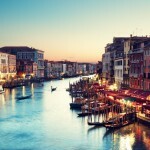 What do you like do when you visit this island?